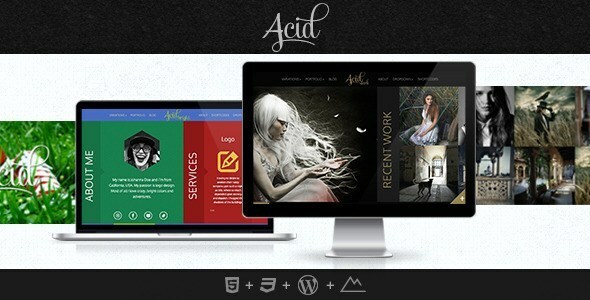 Parallax has become a bit of a web design buzzword in recent years. 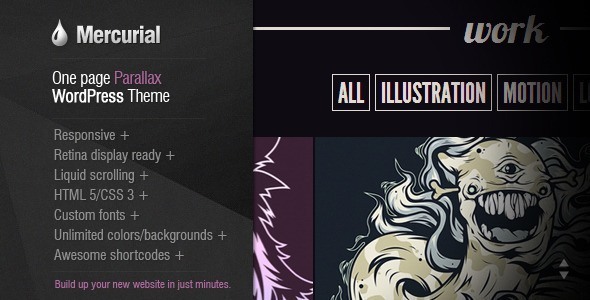 In fact, we even wrote a guide to parallax sites earlier this year! 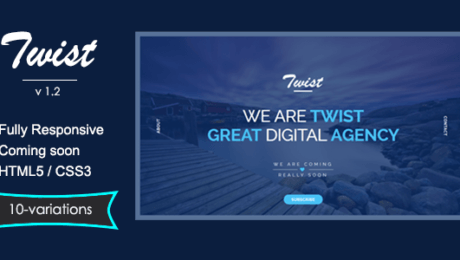 In keeping with the popularity of this snazzy visual effect, we’ve rounded up our top ten parallax WordPress themes, so keep reading if you’re looking for a bold new look for your personal or professional site. With a traditional scrolling layout, Positivus features dynamic headers and footers, numerous different shortcodes to make it easier to customise your pages, as well as an infinite scroll option that’s great for ecommerce sites. Billed as being perfect for creative studios and small shops, OceanPlaza is a great choice for small online businesses that want to asset themselves with a strong, eye-catching website. It’s simple to customise the look of your site with OceanPlaza and the integrated revolution slider will give the site a current feel. 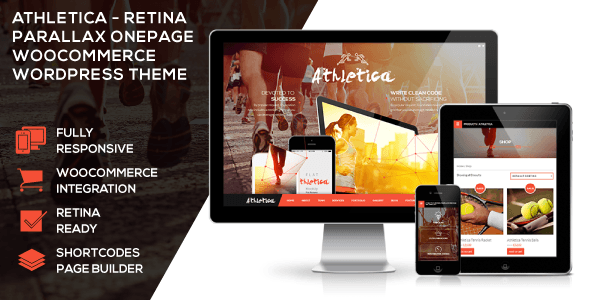 A retina ready one page theme that comes with WooCommerce functionality, Athletica comes with six different homepage versions, an integrated Instagram feed and more than ten different parallax sections that are designed to make your photography look even more impressive. 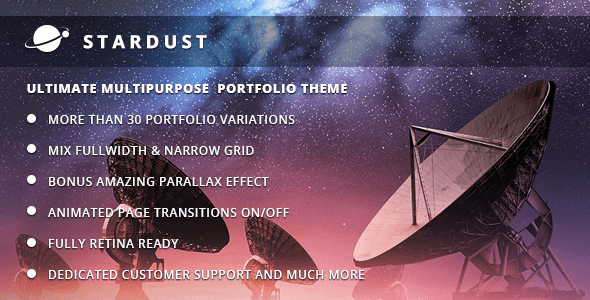 Described as ‘the ultimate portfolio theme’, Stardust features an ultra-clean design for a modern look and numerous different portfolio options, putting you in control of the final look of your site. Based around a scrolling parallax design, Stardust comes with the ability to create your presentations, microsites or homepage into a beautiful parallax design. A more unique theme, due to the fact it boasts a horizontal one page scrolling layout, this design taps into a type of parallax design that is vastly under-utilised in web design. If you’re looking for a one of a kind site that’s a little different from your competitors then this is the perfect choice of theme. 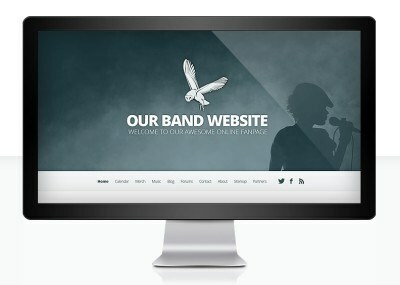 This one’s a little different as it’s aimed squarely at bands and musicians but Harmony is a solid parallax theme that includes all the features a band needs to promote themselves online and create a strong web presence. Harmony’s aesthetic is unique and bold, making it the perfect way to display album covers and promotional shots. 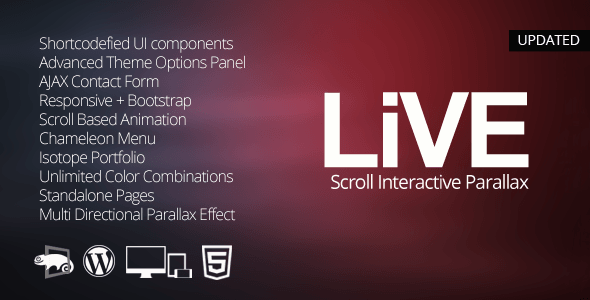 Not content with offering a vertical parallax layout, LIVE can also be customised to feature a horizontal scrolling layout, so the choice is up to you! Built using Bootstrap framework v2.3, the responsive layout has been fully tested on all mobile devices and performs beautifully. 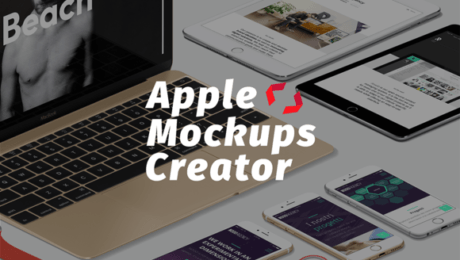 The developers state that ‘this theme will change your preconceptions about creating a website’, which is a pretty tough claim to live up to, but the pre-made custom shortcodes, portfolios, social sharing icons and numerous stylistic options suggest they might not be exaggerating. 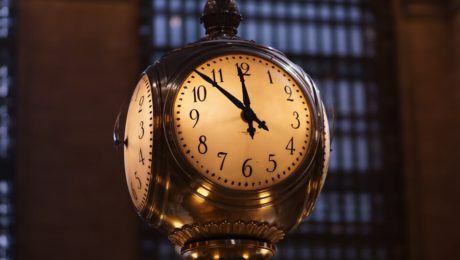 Plus, the examples of sites that have been built using Mercurial are another nod in its favour. Stripping things back to basics, Simple is exactly what its name suggests. 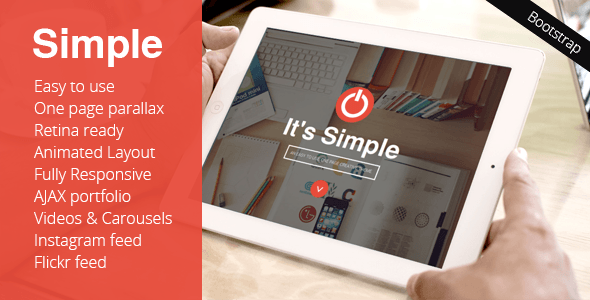 A simple one page theme that comes with built in parallax capabilities, as well as animated content and retina display optimisation. If your organisation wants to create an easy to use, clean one page site then you’re in luck, because Simple is just what you’re after. 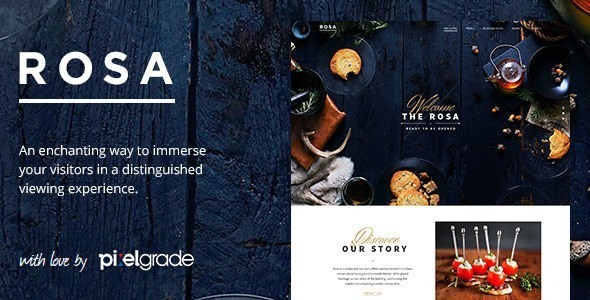 Targeted towards businesses operating in the restaurant industry, Rosa allows you to tell your company’s story in a dynamic, attractive way. It features menu options, OpenTable reservations and bold galleries to run alongside your menus. Plus, the parallax scrolling features full screen images – what better way to show off your best dishes?